Hey everyone! So I know many of you don’t follow my facebook page (but you really should – click HERE) – but last night I was lucky enough to be a guest on The Woman Show, hosted by Naomi Blackburn. Naomi has been a friend of mine for several years – we meet over a review for a book we were both eager to read that was totally spoiler-ific – and it was like a matchmade in book lover’s heaven. 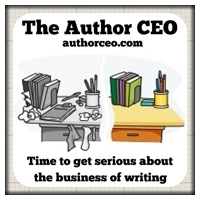 One of the amazing things that she does (aside from reading like 500+ books a year) is works with authors providing guidance on how to build their business/brand, through her blog, The Author CEO. Last night I was lucky enough to be a guest, along with Tracy Riva (http://tracyriva.com/) and Bennet Pomerantz (http://www.blogtalkradio.com/bennetpomerantz) on her show, discussing what Book Bloggers look for when we receive requests from authors to review their books. We had a great discussion about our likes and dislikes – for example, Tracy really likes to see the cover of your book, whereas Bennet tends to be less drawn to the cover (FWIW, I fall roughly in the middle). We also had a great time talking about both good and bad experiences with authors who we have reviewed books for. Wow, that sounded cool, espcially that topic. I have a few thoughts on that topic (what I look for when recieving a review request) and I can tell you, the cover is NOT one of them! I will have to find the show online. Love that…our friendship is a match made in book lover’s heaven. You just crack me up.